Over the past couple of years, the American Idol hometown visits are a cornerstone to the show and a right of passage for every Idol semifinalist. Who doesn’t remember seeing Elliott Yamin’s emotional return to Richmond? How about seeing a sea of people filling up Kansas City Live at the Power and Light District just to see David Cook? Let’s not forget how Haley Reinhart’s dedicated fans fought the rain just to see her perform! Last week, Clark Beckham, Nick Fradiani, Jax and Rayvon Owen each got a superstar home visit! But tonight, the dream of performing at the American Idol finale was extinguished for one contestant. After all of the performances, it was time for the results! 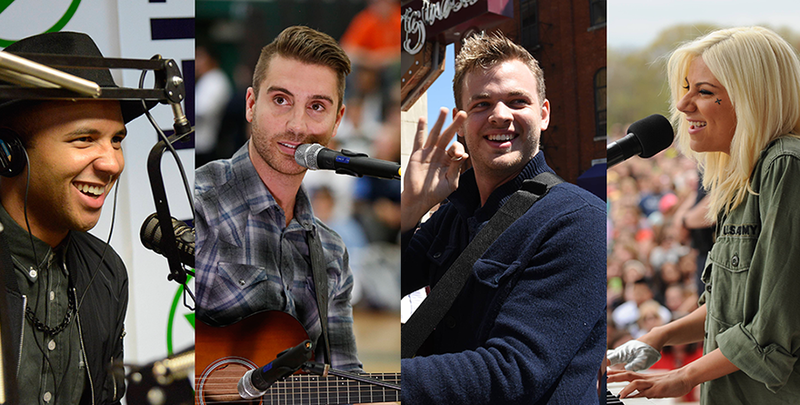 For Nick Fradiani, Clark Beckham and Jax…it was time to prepare for an epic showdown! As for Rayvon Owen, it was time for the comeback kid to call it a day!